Add surprising elegance and texture to the garden with this unusual selection of the giant forest tree, Western Red Cedar. 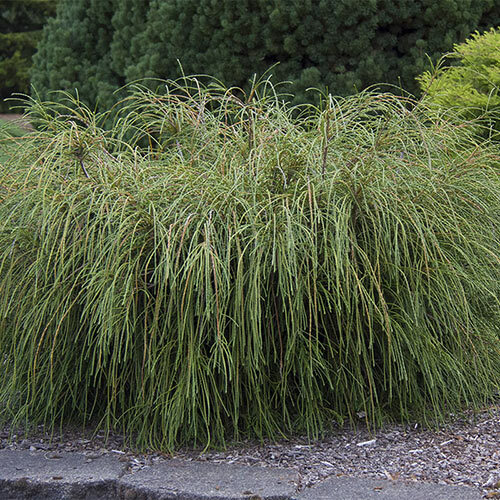 The drooping foliage is glossy green in summer with a bronze cast in winter. 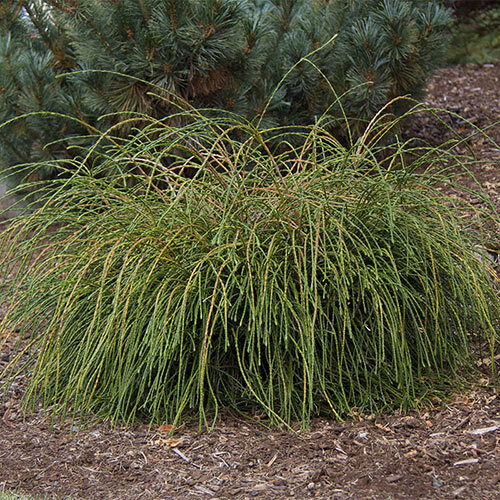 Cover a bank with this wild mop that looks like beach grass. Use as a novel specimen in a casual garden. Incorporate into the border for a riotous partner with perennials. Tolerates shallow chalk soils and shade. Foliage TypeLong, thick , glossy tendrils.Changes to bronze in winter. Watering RequirementWater regularly, do not overwater.